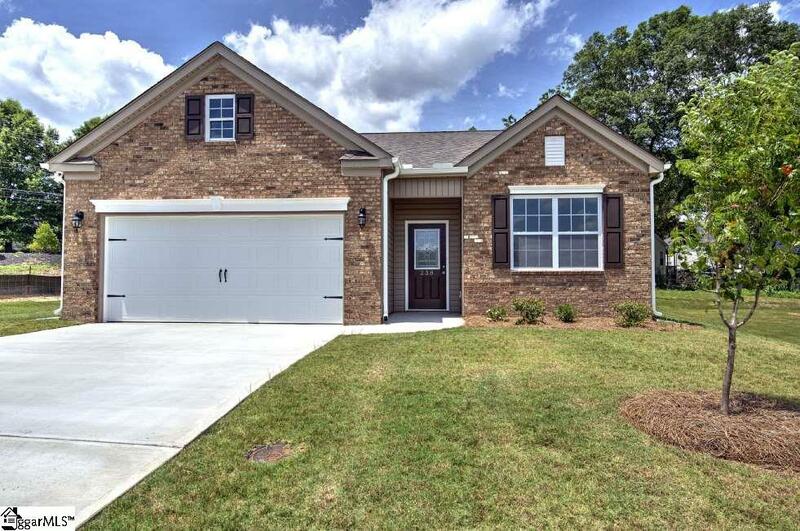 The Davidson Ranch is 1560 sqft with 3 bedrooms, and 2 baths is spacious. 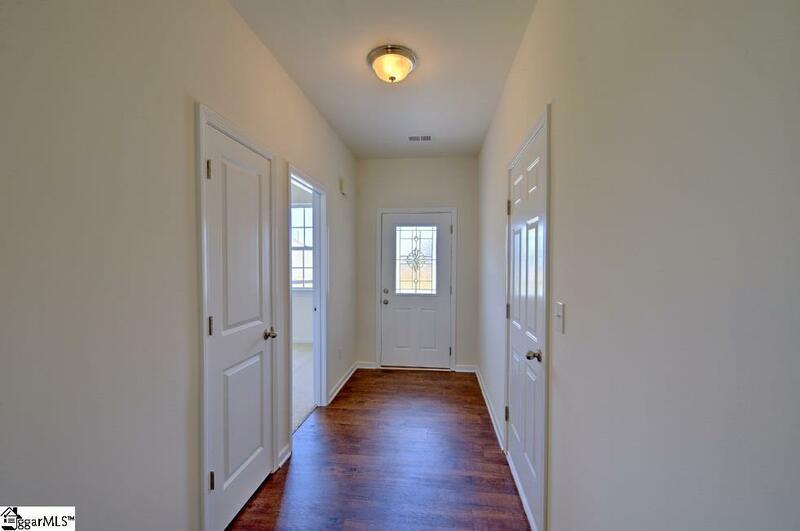 When walking into the Foyer you will notice the 9-foot ceilings and one Bedroom in the front. Continue to the Full Kitchen with 36 cabinets and stainless steel appliances. There is granite counter-tops with room for bar stool seating. The Kitchen is open to breakfast area and family room. The family is spacious with vaulted ceiling and gas log fireplace. Down the hallway is the full size Laundry closet. 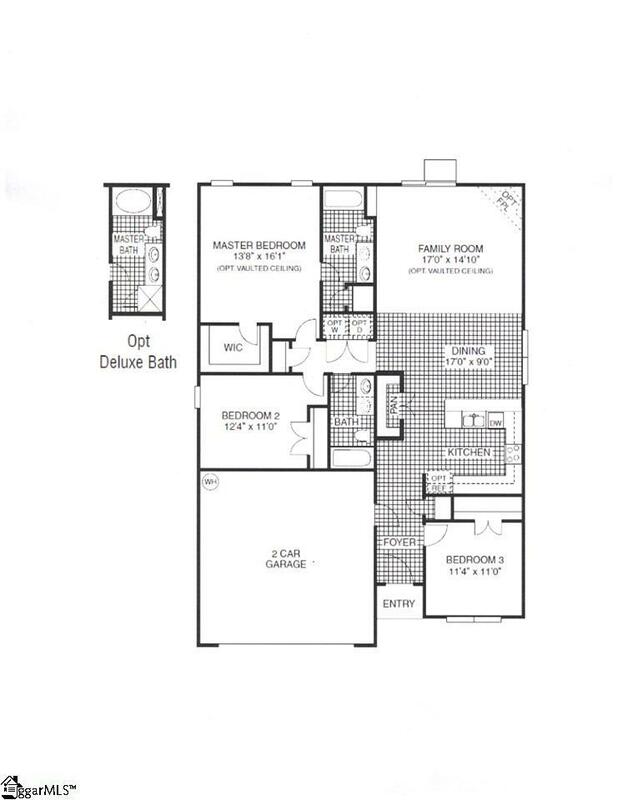 Full bath with Dual sinks and another bedroom and Master suite with vaulted ceiling and large walk-in closet the bath has a separate tub and shower. Fountain Inn nestled in the foothills of upstate South Carolina. This charming city has six public parks and an indoor activates center and over 4 miles of walking tails nearby. 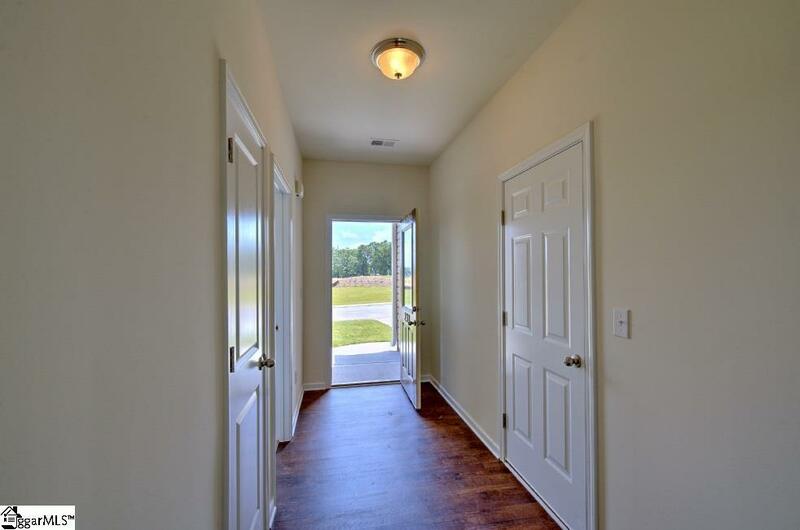 Fountain Inn has over 50 acres of parks, which is only minutes from Gullivers Oaks. Downtown is only -mile walk with many local shops, farmer markets, and places to dine. Just minutes to I-385 downtown Greenville and the airport. Gullivers Oaks and Fountain Inn together makes this a great place to live.